The death of Barrie 'Whizzo' Williams on Saturday morning has robbed British motorsport of one of its most enduring characters. Williams died after a short illness and a fall at the age of 79-years-old, just two months short of his 80th birthday. For well over 50 years he raced anything, anywhere, and in his later career was renowned as a leading proponent of historic racing with his uncanny ability to extract the maximum pace from even the most difficult of race cars. While he will obviously be remembered for his on-track success, it was his larger-than-life, outgoing personality that left its mark on those that met him. 'Whizzo' had time for everyone, no matter where they fitted in to the sport and it would often take him a long time to walk through a race paddock as he happily stopped to chat with so many people. Williams was born in rural Herefordshire in November 1938, the only child of doting parents Frank and Kaye. His dad was involved in the early days of karting and Barrie was soon racing karts. 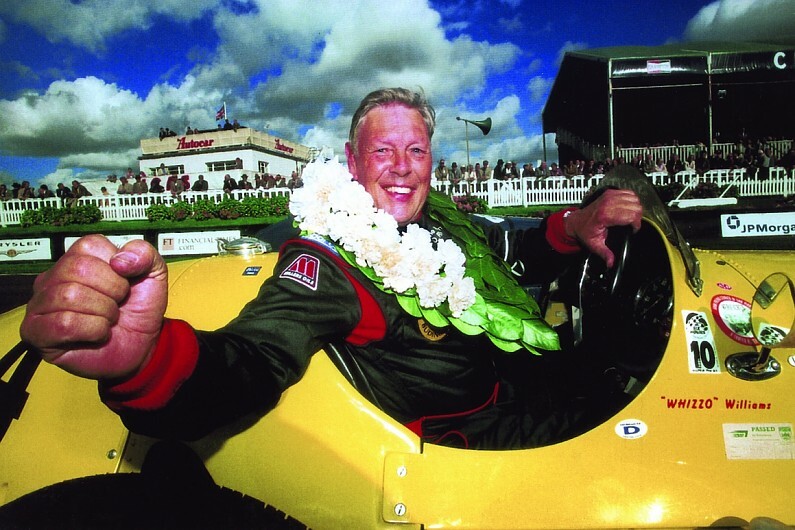 His first car race was at Rufforth in Yorkshire at Easter in 1960 in his road-going Morris Minor and so it started nearly six decades of racing. But it was not just about racing and Williams famously won the 1964 Welsh Rally in his Mini Cooper S. In the mid-60s he dabbled in single-seaters, but the death of Jim Clark had a profound impact. "If Jim could be killed racing, what hope was there for the rest of us?" reflected Williams many years later. Through the 1970s and '80s he made a career racing a wide array of saloon and touring cars, and raced for the works Colt team in the British Touring Car Championship. He was a star in Production Saloons and became a one-make ace with titles in Ford Fiestas and Renault 5s. Later, historics beckoned and proved an ideal fit for Williams's ability to slide a car to outrageous angles yet keep it firmly under control. He won several times at Goodwood, notably in the inaugural TT Celebration in 1998 in Nigel Corner's E-type. Finally, as his health deteriorated, he hung up his helmet at the end of 2017 and called time on a most remarkable career. Out of the car, Williams was unfailingly approachable and never short of a witty comment and customary grin. He cared passionately about the sport that gave him so much and he was always particularly keen to encourage and coach younger drivers. Williams served enthusiastically as president of the British Motorsport Marshals' Club. He is survived by his partner Cathy and countless friends across the sport. Motor racing has lost one of its biggest characters of the last half-century.